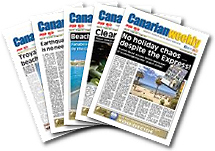 On the 29th July 2010 it was announced in the Boletin Oficial de Canarias number 148, that the Canarian Goverment had opened the 'concurso publico', the 'public application' for FM frequency licences in the Canary Islands. The closing date for any applications for one of the 156 licences available in any zone of the Canary Islands was Thursday 30th September 2010 at 14.00 hrs. This is the first time that FM licences for broadcast in this region have been available since 1989, with new decrees and laws in place for stations that haven't applied. Oasis Fm has applied for regional broadcasting, with application number 1249750, PGSG 6055 submitted to the Gobierno de Canarias.